The end of the summer and going back to school doesn’t always have to be sad. On the first day of school, the right pencil case can boost your little one’s street cred in the playground. StyleNest have rounded up the best back to school stationery including, pencil cases, pens and pencils to ensure your little one is prepared and equipped for this September. From personalised cases to fluro pink statement pens, we have the stationery to make your little one get truly excited about the first day of term. For more back to school ideas, see StyleNest’s roundup of the best Kids Rucksacks. Find out more about kids stationery here. 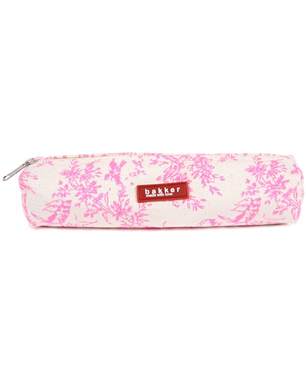 Little girls will love this candy pink jouy print cotton canvas pencil case. 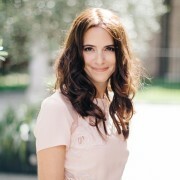 Girly enough to still be cute and feminine but retro enough to also look grown up and cool. This neon pink pencil case in cow spit leather will make your little one never want to leave school. No little one should be without a set of Faber-Castell colouring pencils to give them the best start in their creative journeys at school. Great for aspiring artists, this 12 piece set comes in a variety of different colours and are a great addition to the pencil case. 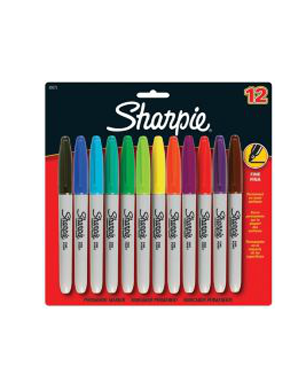 StyleNest are big fans of the Sharpie and we think no child should be without these fun coloured markers on the first day of school. 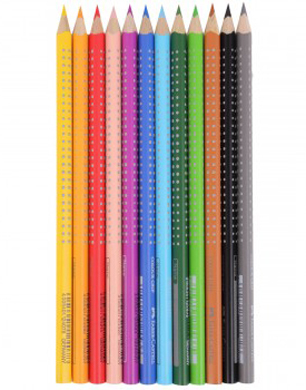 Waterproof, smudge proof and dries instantly this multipack includes an assortment of 12 rainbow colours. This hardwearing pencil case can be customised with your little one’s name. 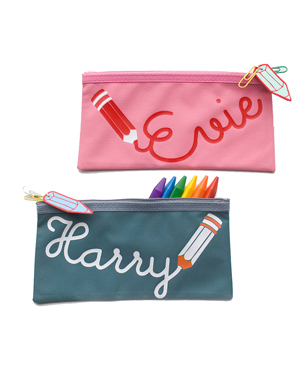 No more sewing in name labels, this pencil case clearly displaces your child’s name in hand-printed letters. Available in a range of different colours from sea green and purple to turquoise and black, both boys and girls will love first day of school with this personalised pencil case. 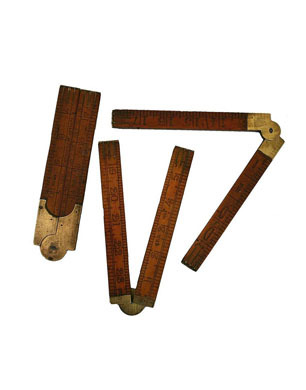 StyleNest love this traditional folding wooden ruler featuring classic brass hinges. Hardwearing, they open up to 24 inches and are the perfect essential for any little one’s pencil case. 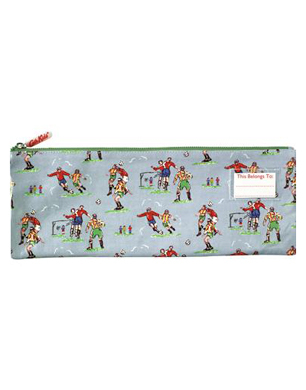 Little boys, will love this vintage inspired football print pencil case to ensure his stationary supplies are looking cool. 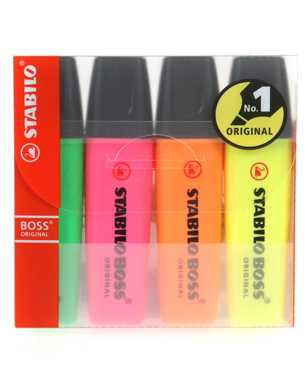 StyleNest love these fluro colour highlighters. Retro, reliable and fun, they make doing homework a lot more fun and colourful. 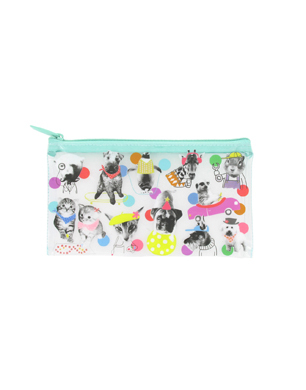 Boys and girls will love this dog and cat print pencil case with multicolour design. Make sure your little one is fully equipped for all their subjects with these classic block colour A4 notedpads with perforated sheets. 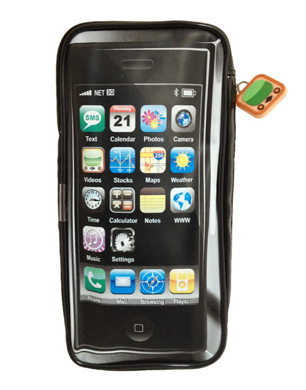 Kids will love this modern take on the traditional pencil case with iPhone imitation. The plain eraser was so last term. 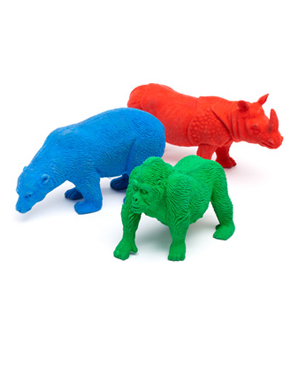 This year, it’s all about novelty themed erasers such as these cool animal erasers in vivid popping colours. No more flying paper aeroplanes and getting detention, this novelty paper aeroplane pencil case will fuel enough hours of entertainment for little ones.